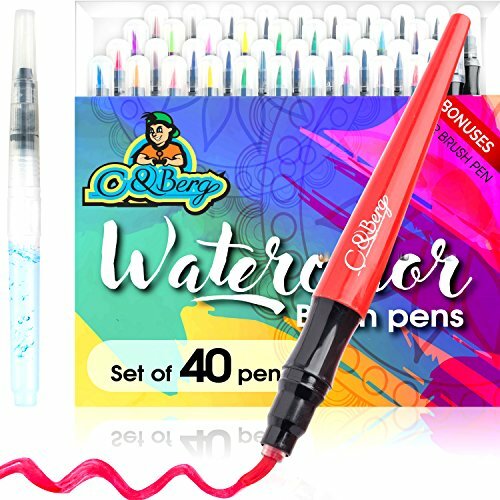  ENJOY OUR HIGH QUALITY – Long lasting Watercolor Brush Pens Markers Set in 10 Premium and bright clean and broad colors which also comes with BONUS 1 Water ecoline Brush Pen to Make your day! 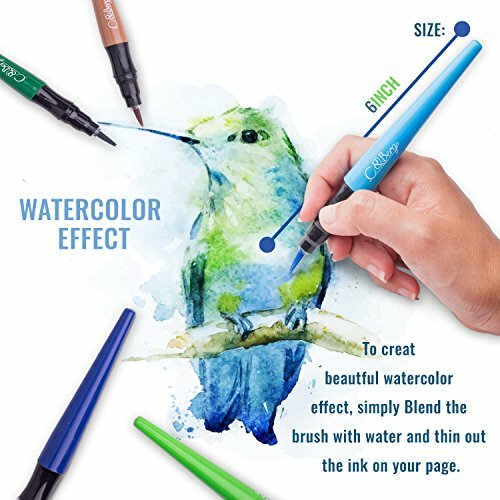 C&Berg are proud to present to you their Watercolor Brush Marker Pens set of 40 pens. 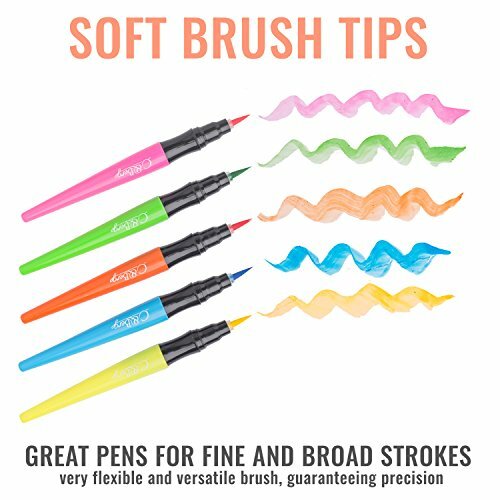 Our stylish Watercolor Brush Marker Pens, will not only impress you with it’s appealing looks but we have much more to offer! 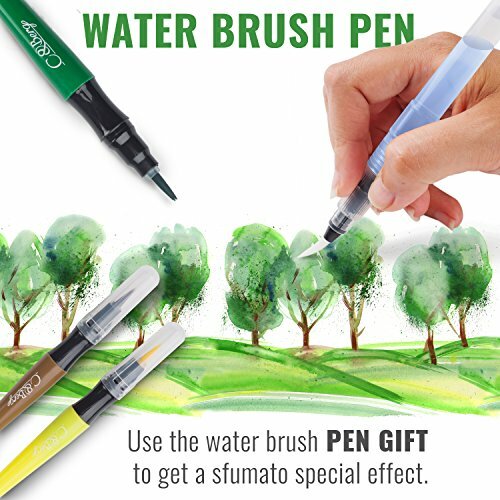 ★ If you are still unhappy with our special Watercolor Brush Marker Pens set, we offer you 30 days money back guarantee, no questions asked! A FREE SPECIAL Mandala pictures book – Special drawing Mandala pictures book to draw with your new terrific set of pens! 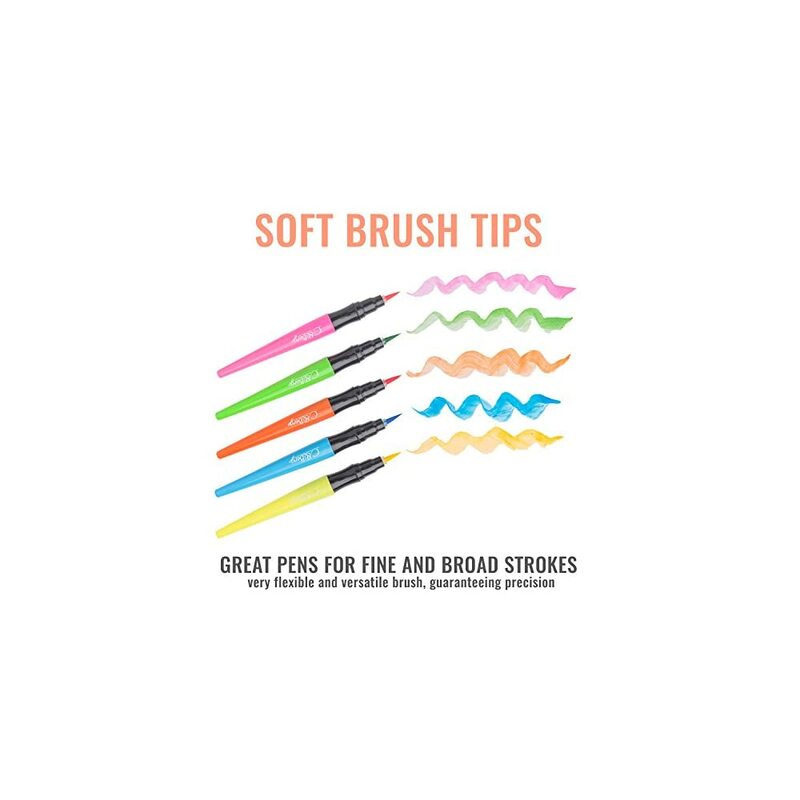 + Extra bonus – Water brush pen to make your draws even better looking! 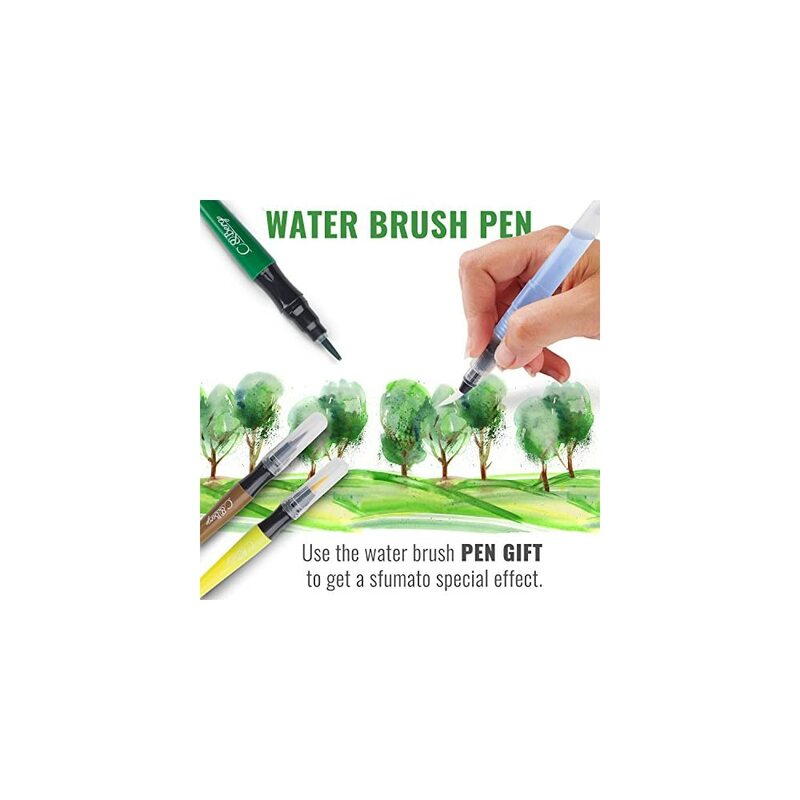 PURCHASE NOW and become the owner of a First-class watercolor brush pens! 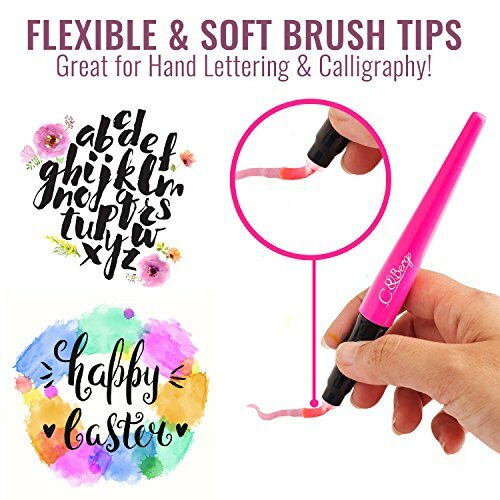  SPECIALS TECHNIQUES AND TIPS: You can draw the finest line or color large lines with our ecoline brush pen blend colors and create new shades The special Touch of these Premium paint pens makes them to Amazing and awesome Lettering paint Pens for creating Caligraphy professional Letters. 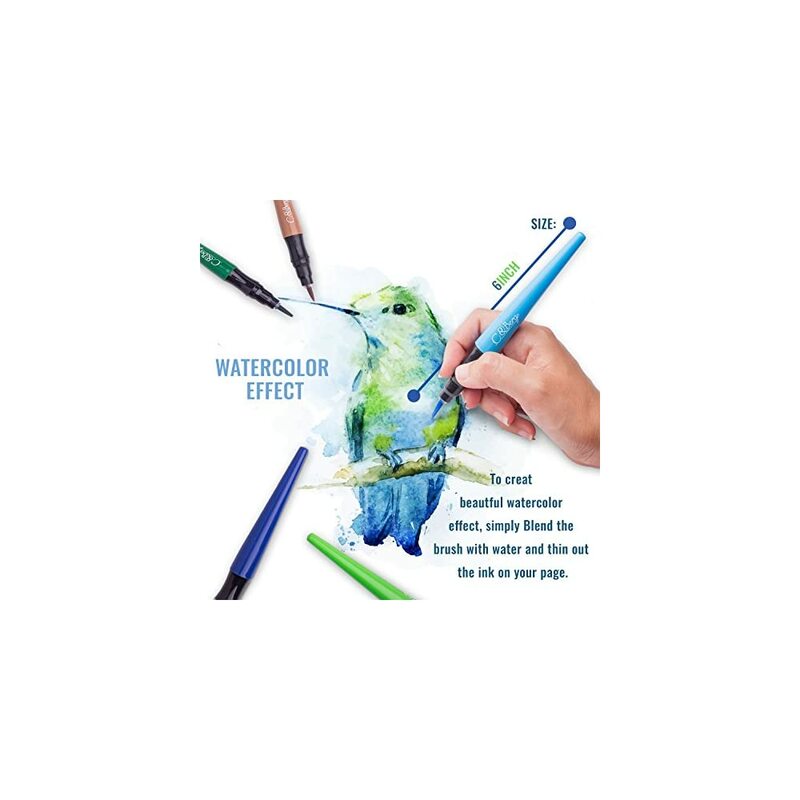 ➤ Terrific real watercolor Markers for Adult Coloring Books booklet such as Mandala Manga comic anime carton Journalist etc.  SAFE FOR CHILDREN NO MESS – Did you ever smell Kids Playing with watercolor pens? 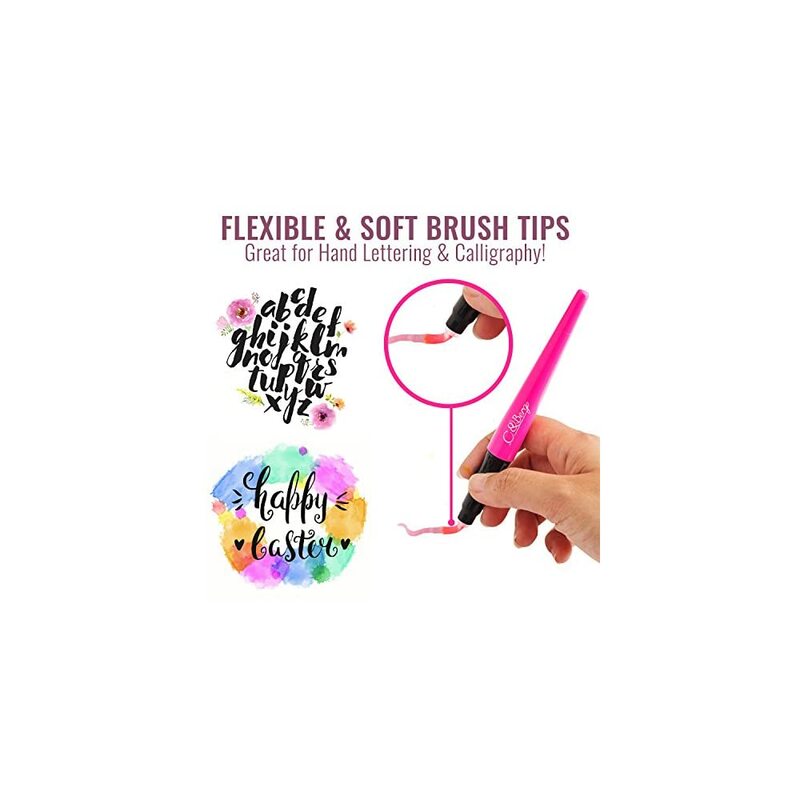 With our calligraphy Watercolor Brush pens set paint pens like a simple brush but without the usual Mess.. Our unique Watercolor Brush pens are also completely non toxic materials non toxic watercolor paint and acid free watercolor pens. I really like these as they have a nice thickness which would make them easier to grip. Brings out the artist in me .